KOOMPI may be a regional first, but it’s not the only exciting local tech innovation coming out of Cambodia. 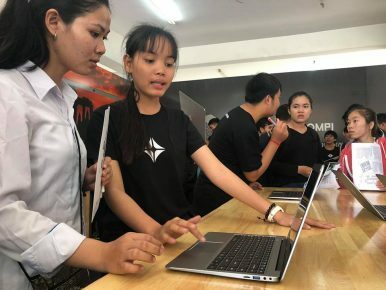 Just a couple of months previously, Cambodia.AI was launched by regional start-up Slash.co, fostering a community of coders in Cambodia working on Open Source algorithms and pro bono projects. 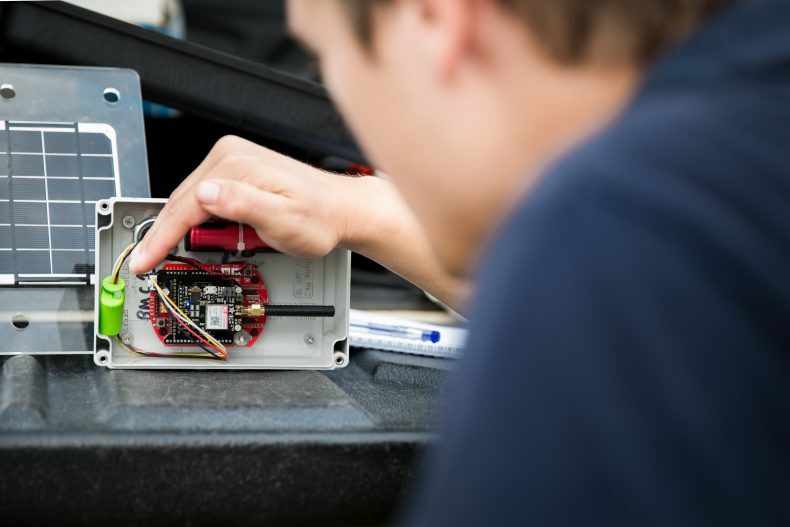 One such project is developing AI capability for the country’s EWS1294 flood detection system, managed by People In Need, to potentially identify “false positive” alarms and predict flood risk too. The timing is apposite: Just last month the World Economic Forum ASEAN summit focused on the “Fourth Industrial Revolution” of the enterprise economy and data-enabled digital technologies such as AI, and its implications for the region. A close-up of a sensor used in Cambodia’s flood detection system. Photo by Nickie Mariager-Lam/People In Need. In fact some of Cambodia’s structural features, which might have been weaknesses in traditional industrial models, might actually be strengths when it comes to adapting to the “Fourth Industrial Revolution.” But what could this mean for the key players that will shape how data, AI and digital technologies are developed, and the values that will shape their global governance? Perhaps the most obvious structural challenge Cambodia faces is the loss of its middle class in the Khmer Rouge era of the late 1970s. Under Pol Pot’s regime, around a quarter of the population died through starvation, forced labor, and political purges as the Khmer Rouge tried to transform Cambodia into a socialist agrarian economy. Highly-skilled professionals with a formal education, such as doctors and teachers, were especially targeted because they were perceived as threats to the regime’s control of the population. 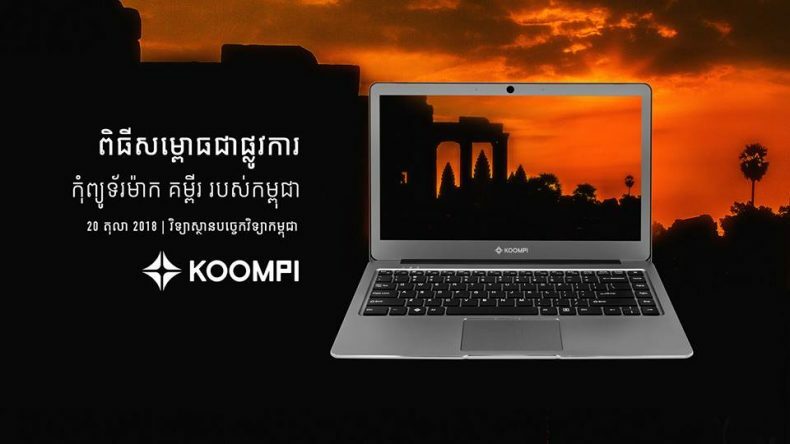 An advertisement for KOOMPI, Cambodia’s home-grown laptop, from the company’s Facebook page. Much of the debate about the impact of the Fourth Industrial Revolution on the labor market has focused on the way emerging technologies might displace human labor. But they could also enhance and develop a workforce such as Cambodia’s. “Data-enabled digital technologies such as AI are a huge opportunity for countries like Cambodia, where skilled labor is in short supply, to access expertise being developed elsewhere,” said Dr Ekkehard Ernst, chief of the Macroeconomic Policy Unit at the International Labor Organization. As a post-conflict nation, emerging from decades of civil war, Cambodia faces limitations on its country-wide infrastructure. But gaps in nascent systems can present a unique opportunity to innovate with digital technologies such as AI. There are indications of this appetite for innovation in resource management in Cambodia’s health system. In Phnom Penh, Sihanouk Hospital Center of HOPE was established as an international charity with a creative operating model: the hospital receives international donations of medicine and equipment, and only charges patients for care that draws on resources that the hospital had to purchase; if diagnosis or treatment is undertaken with donated resources, then the patient isn’t charged. 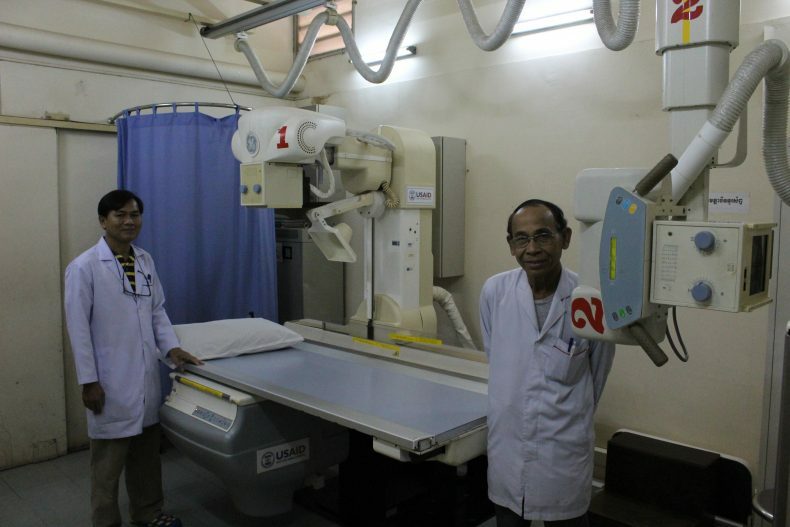 In Sihanouk Hospital, radiologists pose with one of two donated X-ray machines. Photo by M.G. Zimeta. The Fourth Industrial Revolution raises significant questions about the governance of data and the technologies that it enables, and the management of resources and national systems for the long-term equitable benefit of a population. These questions have barely been resolved within countries, or about traditional assets and opportunities: they will face additional scrutiny and pressure as unexpected countries demonstrate new strengths.